With a new third track project recently approved at the Mineola Long Island Rail Road train station comes a plan to reinvent the area. The Nassau Tower, which is an active site that helps to control the trains and the tracks they ride on, would be demolished with the current plans. However, train and railroad enthusiasts like Tom Redmond believe that the tower should be moved and saved. 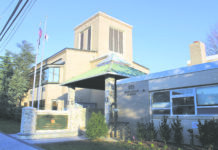 “In the official master plan of Mineola that was done by the village the tower should be moved and restored as it is considered a historical building and site,” said Redmond, who is also a Mineola volunteer firefighter for Truck 2. In 2014, Redmond created an urban design project for one of his college classes, which addressed this desire, and has been keeping it updated based on the town’s plans concerning the third track ever since. The Nassau Tower is a special site because of its history with the LIRR as a whole. Not only is the brick substation the location of the original Mineola train station, it is also where the Hempstead Branch was originally located. Built in 1839 and removed after years of passenger and freight service in 1965, the spot is important to the history and preservation of the LIRR, claim many historical aficionados such as Redmond. The desired plan is to move the tower to a new area of town, specifically at the Main Street crossing, and convert it into a museum dedicated to the history of the Mineola train station and the LIRR. Plans include showing where the original tracks lay with different train cars and other memorabilia on display. 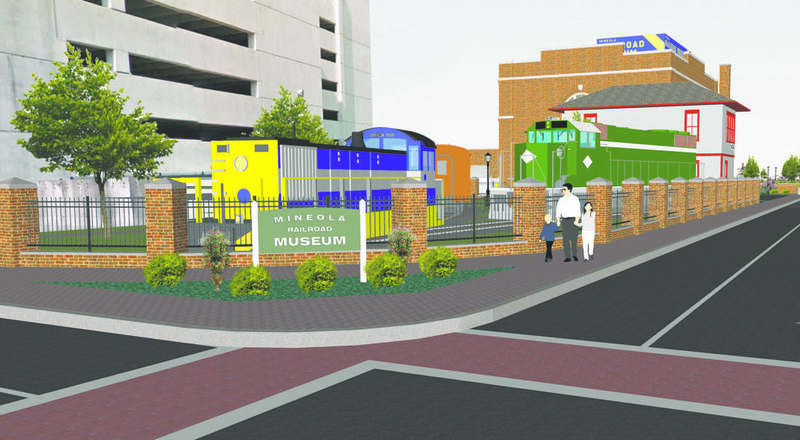 The main rendering done by Redmond of the proposed Mineola Rail Road Museum at the Main Street crossing. According to the official Mineola Railroad Museum scheme, the site serves as the most fitting location to house a railroad museum in Mineola. The museum would serve to educate the public and preserve the history of the LIRR. The project would also follow the vision of the village’s master plan by preserving the Nassau Tower and providing a public attraction and green space for downtown. 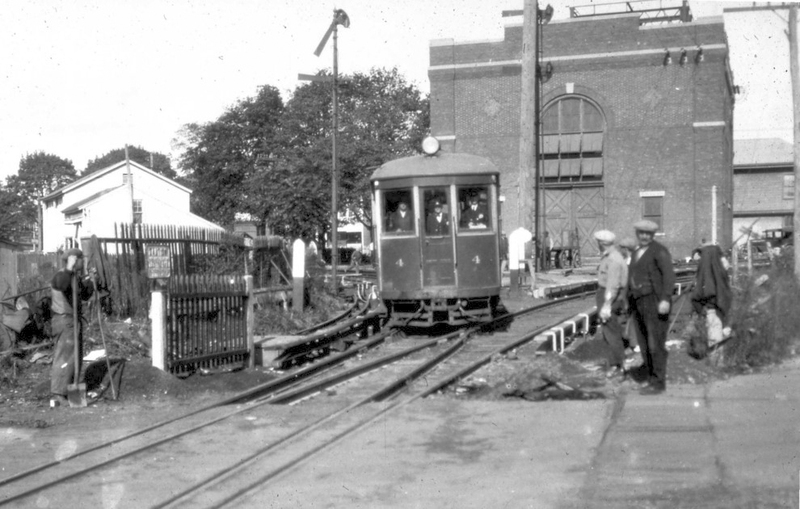 Groups like the Mineola Historical Society and the Oyster Bay Railroad Museum support the project, but the biggest obstacle is the cost, according to Gary Farkash, the secretary of the Oyster Bay Railroad Museum. Due to its expensiveness, the funding still needs to come from somewhere. “We can find the funding as long as we get the public’s support,” said Redmond. This type of project has been completed before in Oyster Bay, however they relied heavily on volunteer labor and other railroad associations. “There are plenty of groups that are willing to help [the proposed museum] but the fundraising is up to them, we do not have the ability to help with that,” explained Farkash. The Facebook page currently has about 300 likes and is continuing to gain support throughout the community. “The railroad is going to listen the more people want the museum,” Redmond explained. 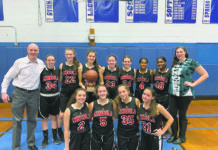 The idea to move and restore the tower has been in Mineola’s plans since before the third track project was even approved. Because the building is considered historical, the village wanted to make sure that it was not lost in updates, according to their master plans. The village has recently not made any movements to uphold this, however Redmond and others believe that it is possible to help the village remember its original plans with enough public support. Both the Nassau Tower and the brick substation are eligible for historical building status, due to their rare surviving architecture with features like a hipped roof and concrete details. The historic 1923 New Year’s Eve train derailment that occurred at this spot adds another layer of value to the site. To learn more about the ongoing efforts, visit MineolaRailroadMuseumProposed on Facebook. The third track expansion project, which will expand from Floral Park to Hicksville, is set to begin later this year. Completion of the expansion is expected to be early 2023.